Zhen Bi is broadly interested in theoretical quantum condensed matter physics. In his Ph.D. research, he focuses on the study of topological phases of matter. These exotic forms of matter are manifestations of quantum mechanical effects in macroscopic materials. Besides theoretical characterization of topological states, Bi’s research also involves experimental proposals to realize such states in two-dimensional materials such as graphene. Another major research interest of Bi's is quantum phase transitions—transformations of states of matter at zero temperature—which involves topological states. These topological quantum critical phenomena are intriguing because they cannot fit into the standard theory of phase transitions and they provide unique fingerprints for topological states in experiments. Zhen Bi grew up in the beautiful coastal city Dalian in Liaoning Province, China. He received his undergraduate degree in Physics at Peking University in Beijing, China. 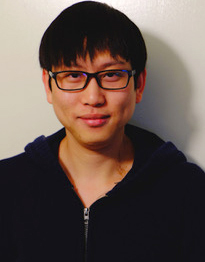 He is currently completing his Ph.D. in Theoretical Condensed Matter Physics at University of California, Santa Barbara, under the supervision of Prof. Cenke Xu. Exotic Quantum Critical Point on the Surface of 3d Topological Insulator. ZB, Y.-Z. You, C. Xu. Phys. Rev. B 94, 024433 (2016). Classification and Description of Bosonic Symmetry Protected Topological Phases with Semiclassical Nonlinear Sigma Models. Z. Bi, A. Rasmussen, K. Slagle, C. Xu. Phys. Rev. B 91, 134404 (2015). Bridging Fermionic and Bosonic Short Range Entangled States. Y.-Z. You, Z. Bi, A. Rasmussen, M. Cheng, C. Xu. New J. Phys. 17, 075010 (2015). Wave Function and Strange Correlator of Short Range Entangled States. Y.-Z. You, Z. Bi, A. Rasmussen, K. Slagle, C. Xu. Phys. Rev. Lett. 112, 247202 (2014).